If American life lacks a significant, indigenous culture, not least among the reasons therefor is the absence of significant critics. This may sound paradoxical to those who feel that the proper function of criticism begins only when the fever of inspiration ends; that the discipline of counsel and analysis is effective only after poet and philosopher have spoken. Criticism, it is said, follows culture; it does not create it. Reflection will suggest, however, that a babble of voices more readily consummates a confusion than clarifies a meaning. Abiding harmonies in life and art are not won by spontaneous feeling, but by patient and accurate expression which seeks to purify feeling of its vagueness without pruning it of its richness. Creative visions of the new and strange and “fancied true” find outlets for their elemental urge at all times and places; but only under the atmospheric pressure of a sensitive critical tradition are we likely to avoid the bizarre, the decadent, the trivial and the brash into which the quick and vital impulses so often run out. A genuine critical tradition helps to make creation significant; its task is not merely to recognize such creation, when once it is achieved, as a chance variation in a riot of creative action. Criticism not only makes art significant, but all life and thought as well; and American culture lacks genuine significance because it lacks genuine criticism. Its critical voices have not yet made themselves heard above the din and clack of strident self-adoration from the right and empty denunciation from the left. In the realm of critical American thought today the foremost place goes unquestionably to Morris R. Cohen. Born fifty years ago in a small Russian village, he has managed in the face of tremendous odds to become the critical conscience of all intellectual effort in American life. Honored for his candor, his scholarship and critical insight, his philosophical colleagues with a true gesture of piety to the spirit of intelligent dissent recently conferred upon him the presidency of the American Philosophical Association. As this indicates, he has influence; yet he has no following. His refusal to think in terms of the “old” or the “new” has isolated him from all social movements which put slogans of loyalty—be it to country, cause or class—above the essential radicalism of critical thought. One of the most inspiring teachers in America, he does not seek to make converts or disciples of his students. Every position is to be understood in the light of its consequences. Intelligence is knowing what it is that one really means. In the cross-currents of contemporary American life, Cohen stands conspicuously alone. He is as far removed from the dead traditions which linger on in this age of standardized radio pieties as he is from the tepid and bored rebellion of the literati who are unconsciously echoing the cry of the early German romantics, “Die Tugend des Menschen seine Originalität sei.” As a champion of the method and life of reason, neither conformity nor originality has intrinsic value for Cohen. To appraise life by standards derived from the cult of quantity; and authority, into which the tradition of official, conservative America has been transformed, is no more intelligent than is judging a man’s head by the number of hairs it produces. Nor is the desire for mere change and movement, which marks current moods of revolt, any more satisfactory. Blind impulse with no standards of the better and with no consciousness of direction lives on the same plane as blind habit. Uncritical impressionism shares all the vices of authority, adding a few of its own. And so for one who insists upon order in our thinking and clarity in our feeling, the ungrateful task remains to bring his contemporaries to selfconsciousness. He must play a civilizing role in softening the prejudice of age which thinks that when it goes all that is worth while ceases, and in tempering the passion of youth which imagines that with it the world begins. 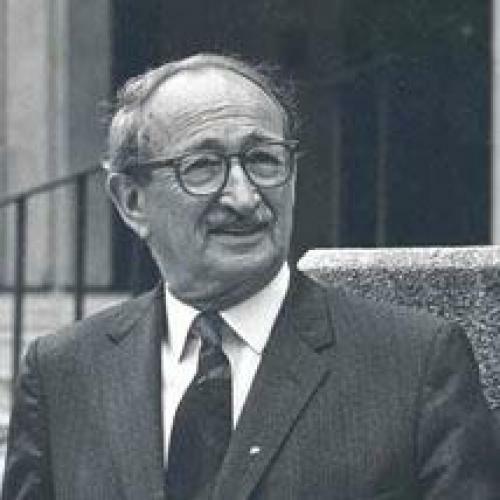 In his criticism of the leading schools of metaphysics, in his analysis of moot questions in legal philosophy, science and social ethics, Morris R. Cohen has defended the true radicalism of thought—espousing the rights of reason against the oppression of authority, the irresponsibility of intuition, the vagueness, obscurantism and hidden absolutism of immediate experience, natural or supernatural. Cohen’s criticism is based upon ultimate insights into the nature of existence and man. But its primary incidence is negative. His writings have consequently bewildered those who have sought to understand him only in the light of his negations. It has been naturally assumed that his rejection of absolutism committed him to radical empiricism; his denial of mechanical jurisprudence, to trial-and? error positivism; his strictures against authoritarian ethics, to an anarchistic temporalism; his repudiation of a priori rationalism, to an uncontrolled subjectivism; his biting attack on the twin methodological frauds of psychoanalysis and behaviorism, to a crusade for faculty psychology. Human beings tend to think in fixed dichotomies, and when Cohen turned around to analyze the inadequacies of views opposite to those he had just been criticizing, their proponents referred to him, in high compliment, as the “devil’s advocate.” Although enjoying the masterly skill with which he plays counterpoint, they have wondered, withal, whether his affirmation included anything more than the love of dissection of other people’s ideas. They have overlooked the fact that it is precisely by this method of intellectual counterpoint that Cohen hammers out his positive themes. “The opposite of a false view,” he reminds us, after Bradley, “may be every whit as false.” And “truth” is that to which we approximate when we have examined the confusions and errors bred by too sweeping denials of other confusions and errors. Cohen’s conception of philosophy distinguishes itself from the prevailing tenor of current ways of thought in its insistence upon the autonomy of the philosophical enterprise. Philosophy as an apologetic for the existing order or as an instrument for social salvation seems to him to involve a betrayal of its intrinsic purposes—a survey of the human scene against the vast background of cosmic forces, an attempt to discover and evaluate the ideal possibilities of human life and a quest for emancipation from the immediate compulsions of vain and petty moods. Philosophy as an indirect apology for social oppression and religious superstition—and an appreciable portion of American philosophy is still that—is pathetically futile. It forgets that the attempt to defend the questionable with arguments that are even more questionable is often the first and most fundamental cause, as the history of theology shows, of doubt and unbelief. On the other hand, a philosophy excessively preoccupied with problems of human welfare likewise forgets that the passionate pursuit of disinterested truth may lead to more genuine social enlightenment than narrow zeal for goals dictated by unreflective sympathy rather than by sympathetic reflection. Above all things, the philosopher “must critically examine and disinfect his instruments, lest he infect others with his own passionate errors.” For philosophy can truly help only those who can think. It cannot bake bread, or quicken the dead, or restore vision to those who are blind. The faith of the critic, then, is the faith in the supremacy of reason and devotion to logic which is the grammar of reason. To say that reason is supreme is not to say that reason is all-sufficient. We can never, for example, dispense with all authority or tradition. But only reason can determine its proper place and function. Nor can anything great be accomplished without passion, as even a panlogist like Hegel realized. But only reason can give the critical discipline through which passion achieves greatness. Critical rationalism is as hostile to the vicious intellectualism of the past, which sought to legislate for the world without adequate knowledge of it, as it is to its daughter, the ebullient romanticism of the present, which seeks self-escape instead of self-knowledge. This emphasis on criticism does not dull the will to live. It does not lead, as many mistakenly believe, to quietism and inactivity. “Suspended judgments,” Cohen has taught, “are achievements of intense reflection, not of indolence.” The dogma proclaimed by will-to-believe philosophies, that men act effectively only when they believe they have a corner on the truth, is the sheerest prejudice. Ice may burn as well as flame; cold analysis, as well as fiery declamation, may move to action. The actions will differ primarily in the quality of their intelligence. Ignorance, not true knowledge, is foolhardy and presumptuous; passion, not reflection, courts disaster. “The unutterable miseries and wretchedness of mankind should emphatically silence the claim that natural ignorance and unreflection is the road to blessedness. The power of reason lies in the knowledge of its own limitations. It knows that the world is not all of a piece, that nature is more than can ever be said of her. Its insight saves it from accepting a monism of principle or from attempting to reduce the many-faceted aspects of life to one category. Cohen has set himself the task of recognizing problems before attempting to solve them. In fact, the fundamental metaphysical problems are such that recognition of their structure and implications constitutes the only intelligible sense in which we can speak of a solution of them. The most fruitful of the principles of metaphysical discovery and criticism is the principle of polarity, which asserts that all the basic philosophical problems a and situations are resolvable into balancing or opposing elements, mutually implicative and yet indissoluble in their opposition. The source of all bad thinking, in philosophy as well as in ordinary life, can be traced to the tendency to take one of these elements as the sole or most important factor in the relationship and to interpret all else in terms of it. A few examples: To sacrifice the rich diversity of actual experience upon the altar of unity is the converse error to overlooking the thread of identity upon which the beads of plurality are strung. To convert, as the idealists have done, all objective differences between things into manifestations of some consciousness, spelled in small or large letters, is no wiser than to reduce consciousness, with all its inner life, to another kind of thing, as the behaviorists have done. To sneer at the matter in the interests of pure form, or to attempt to prove that any existence is no more than the intersection of an infinite number of essences, is little different from sinking oneself in an undifferentiated content that has no form, or from attempting toexplain essences away as mere names attached to temporal events. The identification of the “ought to be” with “what is” is as foreign to true morality as the absolute divorce, in otherworldy morality, between the real and the ideal. To affirm that all is one and nothing changes has precisely the same meaning and is just as inadequate as to proclaim that all is change and nothing is constant. Here, then, we have the positive source of Cohen’s critical attitude. Every concrete situation is a whole involving the correlation and interpenetration of many aspects or parts. The failure to take parts in their interrelation and’ context results in regarding the component parts as independent wholes of which the other parts are elements. The strife of philosophic systems has been largely due to the tendency to convert relative distinctions into absolute separations, to stretch the significance of one category until it includes the denotative range of its opposite, to go from the expression of one’s own vision to the denial of the vision of others. Cohen’s criticism, therefore, does not represent an eclecticism which bridges difficulties with “ands” and “alsos.” It is based upon the deep feeling that the knotty and poignant problems of being and experience exhibit a democratic plurality and conflict ofprinciples which can never be finally solved, but which must continually be re-solved by every age and by every mind. It is based upon deep faith in the power of discursive reason to effect these resolutions. A great deal of present-day subjectivism in philosophy and extreme individualism in social thought can be traced to the nominalistic tradition in Anglo-American thought represented by Hume and Mill. But Hume’s reduction of the external world to a sense of mental impressions and his attack on the principle of objective causality are shown to involve the illicit assumption that knowledge of the contents of one’s own mind is possible without antecedent knowledge of an outer world and of other minds in that world. There is no mind outside a physico-psychical-social continuum. The controversy between a priori intuitionalism and sensationalistic empiricism in the philosophy of mathematics is outflanked by showing that the fruitful character of mathematical inquiry is dependent upon the objective existence of implications grasped in demonstrative reasoning by a series of intellectual intuitions. The question of the scientific justification of the hypothetical or abstractive method in mathematical physics, i.e., the validity of a physics of pictures and models as against a physics of principles and equations, is illumined by noting that our equations represent invariant relations which are actual constituents of the world although not identifiable with the material elements of that world. This insight applied to Einstein’s method has brought warm approval from Einstein himself. Against the incurable difficulty of all idealistic theories of ethics, which from purely formal considerations attempt to derive material principles of justice, is counterposed the positivist error, which in its haste to banish the normative element from ethics and reduce it to a phase of descriptive sociology, unconsciously glorifies the status quo in all its iniquity. Cohen offers a proof that ethical idealism and positivism are as necessary for intelligent living as are both our jaws for eating. Although moving in different directions, they serve the same function. In law, the reliance upon rules in the interests of certainty, unless tempered by principles of equity, will inevitably result, in the face of an ever expanding social life, in making judicial administration uncertain. And yet, insistence upon judicial discretion and individualization of punishment in the interests of justice, unless accompanied by reliance upon rules, will lead to an anarchy of personal judgment in which caprice defeats the principle of justice. The important question of corporate personality, which has provoked volumes from the metaphysical ultra-realists, with their hypostases of functional relationships into fixed entities, and other volumes from the ultra-nominalists, with their refusal to recognize anything but physical bodies and mental states, has been clarified by Cohen in one of his inimitable sentences, “Two oxen create a team—not another ox.” In life and letters at large, heresy is a revolt against a cramping convention which originally served a useful purpose; but heresy cannot prevent itself from disintegrating into other heresies without its own fixed conventions. If the current convention is the old heresy and the current heresy the new convention, it is absurd to argue the merits of convention and revolt in general. Yet so much of literary criticism is just that. Although the dominant motif of Cohen’s thought is rationalism, it is a rationalism built on naturalism, not opposed to it. And yet a great many things that are natural are not recognized as rational or desirable. In a peculiar and intimate way, Cohen’s naturalism is combined with historic idealism. This is achieved by distinguishing between time as a category of existence and eternity as a category of essence. The source and origin of all human activities and ideals are the processes of material change, but the meanings of those activities are not relevant to spatio-temporal contexts. “The meaning of any motion does not itself move,” for the realm of meanings contains the criteria and standards by which what moves is judged, measured and redirected. To confuse the categories of essence and existence by eternalizing the flow of events, or temporalizing the invariance of meaning, is to invite philosophical disaster—yes, even social ruin. For, if the “brute given” is endowed with normative quality, then whatever just happens to be claims a fixed and jealous sovereignty over the changing desires of the human heart. Arbitrary accident establishes an oppressive and “impossible” compulsion upon its own history. On the other hand, if the meanings in terms of which man evaluates temporal life are themselves temporalized, then one moment’s thought knows not its own consequences, and the acts of today give the lie to our promises of yesterday. All rational synthesis, all purposeful constraint, are swept away in a dizzy whirl in which every instant of time is its own absolute. The truly experimental life is onewhich is at the same time truly spiritual. It tests the relevancy of the spiritual ideals of the past, not by its institutional expressions and empirical history, but by its actual fruits in present living. In such a life the ideal must never be identified with what the actual world contains, but with what that world suggests. In such a life there must be many things dearer than life itself. One might accept all this and yet feel that the sharp separation which Cohen introduces between time and eternity is not justified in terms of the principle of polarity itself. He has yet to do justice to the metaphysics of the time process. A tinge of pessimism, characteristic of the most sensitive spirits throughout the ages and reinforced by the accidents of biography and health, colors Cohen’s thought. Life at most is a second-best thing. Faced by the inevitable and ineradicable evils of ignorance, suffering, frustration and death, human beings do wisely to cultivate an element of resignation in a world in which they had no making and in a birth in which they had no choice. A progressive politic can surely make life more human, but not even a progressivist metaphysic can remove the natural evils to which all human life is heir. The greatest good man can win from a universe neutral to his hope and despair is the serenity born of understanding and renunciation. Cohen himself freely admits that in this we have an expression or temperament which, though nurtured by dialectic, is beyond the test of dialectic. He sometimes forgets, however, that it is only this temperamental difference which separates him from some current philosophers with whom, in gratuitous temper, he most sharply takes issue. Peace may be found in intelligent social activity as well as in solitary contemplation. And if philosophy is a way of life, as Plato and Aristotle taught, then the good life cannot be attained, save by him who is more than man or less, outside of the good society. A skepticism which is critical and smiling toward allwild claims and gallant faiths may still be reverent and humble before the inexhaustible courage and selflessness with which man pursues his ideals. It is antipodal to the current cynicism, so often the parade dress of philistinism, which decries the pursuit of all ideal goods in order to make more secure the material goods which it already possesses. For an enlightened skepticism, the tragedy of human life is not that it is accepted, but that it is accepted on any terms. In its eyes defeat is a lesser evil than cowardice and apostasy to our own vision.